2nd new and comprehensive English edition. 225 pages, 88 coloured illustrations, also as an E-book. 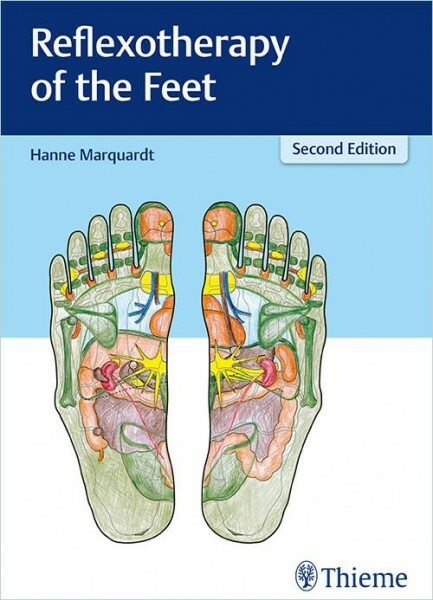 Based on the 4th edition of the classic work in German, this outstanding book provides practical information on the use of Reflexotherapy of the feet and enables therapists to treat a wide range of patient´s conditions and diseases. Written by one of the pioneers in the field, the book features a wealth of insights in every chapter. You will find collected 50 years of experience including the latest developments of RTF along with many practical and useful treatment examples, combined with a convincing holistic insight on this approved therapeutic tool. For comprehensive understanding 81 full-color illustrations are added. Coursebook of the Hanne Marquardt-Schools. Did you know? With pleasure will I autograph my textbook for you. Just let us know on your order.